Dean DeMartini's focus will be bringing games to the Oculus Rift, but he also wants to see live concerts and IMAX movies on the platform. A former senior vice president at Electronic Arts is now the head of worldwide publishing for Oculus VR. David DeMartini's job as leader of this new company arm is to partner with developers to encourage them to bring their games to Oculus VR's Oculus Rift. "What I'm doing at Oculus, it's not particularly different from what I did for seven years at EA as part of the EA Partners program," DeMartini said in a Gamasutra interview today. "I'm figuring out how to partner effectively with big developers, small developers, all the way down to the individual who just wants to make something great for the Rift." While games are DeMartini's primary focus, he also wants to see more diverse entertainment brought to the headset device. "There are other cool things besides games that you can do with the platform: IMAX movies, live concerts, educational programs, that kind of thing," said DeMartini. "Going outside of gaming, how do I get someone in the travel industry to put up the kind of cameras that let us create a Rift experience of being in, say Barcelona?" While not all of the financial details of Oculus publishing are clear yet, DeMartini said that there is room for things such as platform exclusivity. 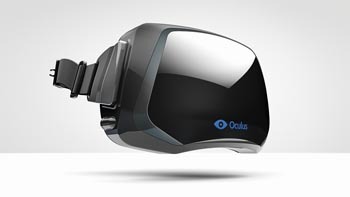 It's been a good month for Oculus VR. Just last week, the company raised $75 million in additional funding which Oculus hopes can be used to get a consumer model out to the public. In addition, legendary game developer John Carmack was recently announced as spearheading mobile development for the device after being lured away from his own id Software studio.